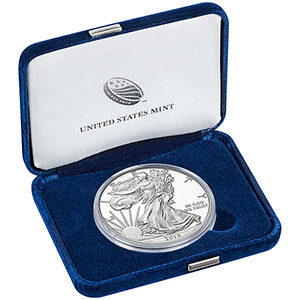 The American Eagle – Liberty Silver Coin celebrates the friendship of France and United States of America established during the American Revolution. The Statue of Liberty completed her 100th year on October 28, 1986. The Statue standing with its head held high is the perfect example of freedom and democracy as well as this international friendship that was established long ago. This entry was posted in World Coins, World Coins Silver and tagged 1 oz, 2014, Proof, Silver, USA by Electa. Bookmark the permalink.